Fast & Delicious food to go. 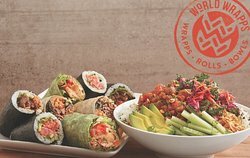 So many great wraps to choose from! You won't be sorry if eat here. 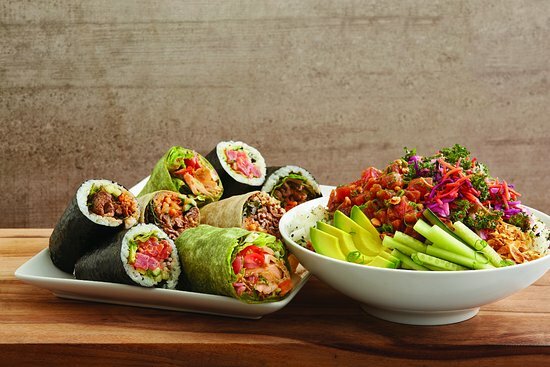 So many types of wraps for every taste. 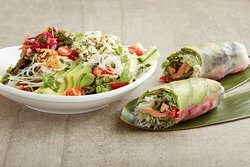 Healthy, fresh and tasty. I had the Tikki Masla wrap it wasn't spicy but full of flavor. Out door space to eat. Limited seating inside. Good for take out. We recently were treated to dinner - and the main course consisted of trays of World Wrapps! What a SUPER idea! (I plan to copy it!) My favorite was theKorean Bar-b-q. There is something for everyone! World Wrapps may be familiar as they have many locations. This one has thrived for years. 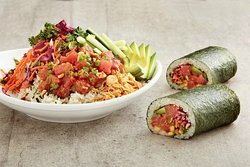 Very consistent counter service, clean kitchen and tasty wrapps with a wide selection of flavors. Get quick answers from World Wrapps staff and past visitors.